Nancy, at Nancy’s Point, has sent us another challenging! This is her fourth summer blogging challenge, and I am happy to participate. Here is her list of questions with my responses. And if you are a blogger of any type, I encourage you to be part of the fun. 1.How long have you been blogging (or reading blogs)? I have been blogging since 2015. I took a long break because this year has been complicated, but I am slowly trying to get back because – well, who is ever done with cancer? Survivorship continues, thankfully, but it’s still challenging. 2.How has your blog changed? I am not sure that it has changed all that much, partially because I knew what my goal was. I knew I wanted to tell my truth about living with cancer to help myself and others who might feel isolated while going through the same experience. 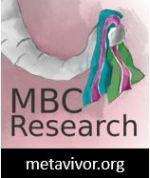 I continue to share about my survivorship challenges, which aren’t limited to dealing with cancer. From time to time, I find myself touching on other personal topics such as my childhood, relationships, and even my wonderful pets. 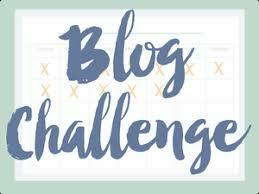 3.What is your biggest blogging challenge/frustration? I have to agree with Nancy on this one – it would have to be time, but also my struggle with building some sort of life balance. Yes, I have found blogging to be very therapeutic and rewarding but I also want to create more meaning in my life. I am still trying to figure out how to find that meaning. 4.What is your favorite post that you’ve written (or read)? I have two favorite posts I have written: It’s not about you and The worst part. And during my search, I also found this one which still makes me laugh, Survivorship: my life illustrated. When I started blogging, my intention was to use this platform as therapy for myself. I find survivorship to be very hard, especially because I am a realist. However, if my messages are reaching patients and this is helping them cope, that, to me, is rewarding. And if my messages go as far as touching people who have never gone through cancer, that’s even more amazing to me because these are the people who I really am trying to get through to, to make them understand. 6.How many blogs do you read on a regular basis? I have to admit, I haven’t been reading a lot of blogs this year (same reason as questions #1 and #8). But I do enjoy random blogs focusing on different topics, not just health. My goal is to slowly come back to the blogsphere community. What a great question! I am a very private person, although you wouldn’t be able to tell by the kind of stuff I write about on my blog. If I told you the kinds of things I keep private, you would be surprised. But it is all about comfort. My comfort, in this case. When it comes to my blog, I consider myself to be open. I wish I could tell you everything! I find it important to share because people in general need more education. And our culture needs to shift to encourage more education, empathy and kindness. I also have a career to think about. Well, I think I am a little late on that one—maybe I’ve exposed my situation and life enough to get myself into a little “trouble” in this area, but who would want to work for a company that would hold my life against me? It’s all about being REAL and wanting to support others. But to answer the question, I do have some blog boundaries, especially when it involves other people’s privacy. 8.When things get hard, what keeps you blogging (or reading blogs)? This year I could not get myself to blog because I was dealing with big decisions and I felt I could not — and am not yet — ready to express myself about those things I was facing. I needed the time to re-evaluate some areas of my life. Sometimes we need a break in order to deal. And then there are times when blogging is my therapy. It has been since I started, but this year has been challenging to keep it up. I have missed our community. My readers. And all the support. Just writing this post lifted me a little. It’s the act of blogging and feeling the connection while releasing all that tension that keeps me going. 9.What is your biggest Cancer Land pet peeve today, right now, this minute? Once again, in agreement with Nancy: It’s the “stay positive!” messages. Always hated this statement and I hate it even more post-diagnosis. I am surprised I am able to keep calm and polite when people suggest it to me. Wondering how long this will last considering my lack of patience these days. Once diagnosed, everything changes. EVERYTHING. And being diagnosed at such a young age you face different issues and many of those issues relate to your day-to-day quality of life. If you can’t talk about your life to those close to you, then survivorship becomes even more difficult. But we still have the power to create a healthy environment for us. This could involve ending relationships, building new ones, seeking help (for your mental health), and removing yourself from toxic situations. We need to be allowed to be human from time to time. Be kind to ourselves. 10.What one piece of advice would you offer to a new blogger? Be you. But also be open to other perspectives. 11.Share something most people do not know about you. A secret sort of thing. I own close to 100 collectible dolls. Some people have judged me, because that’s the natural reaction when they don’t understand something. My guy has felt sad for me, because he thinks these dolls might represent something big I am missing in my life – such as not having a child – I suspect he is not the only one who feels this way. (Some of these dolls look like real children.) But this is not the case. I have collected dolls for many years now. I have a huge appreciation and admiration for the doll artists I’ve discovered throughout the years – such as Annette Himstedt and Madame Alexander. My dolls bring me joy and maybe this is related to my childhood. At first I thought of the hobby as an investment, but I now realize I could never part with my dolls. Somehow I always knew I would collect dolls, since I was a child. I did not have that many dolls growing up and kids in my neighborhood always got nice dolls. Anyway, here’s a nice article I came across recently about a doll collector, Don’t Tell Your Parents to Stop Collecting. 12.What do you enjoy doing in your spare time? I enjoy biking, reading random online articles about all kinds of things, learning about collectibles and vintage items, playing with my cats, spending time with my honey, walking a lot, writing, photography, watching interesting TV shows (with my honey) such as “Better Call Saul”, traveling (especially to Montreal, Quebec! ), listening to ambient music, among other things. I want to take this opportunity to thank all my readers for their patience and support since I started blogging. A big thank you to my fellow bloggers too for showing me kindness. I haven’t been active on my blog this year, but my plan is to slowly get back. I have several posts in the works that I hope to share soon. Meanwhile, share something you’ve appreciated about our online cancer community and what you hope to read more of – topic-wise. This entry was posted in Awareness, Support and tagged Annette Himstedt, Blogging, Collectibles, Community, Dolls, Madame Alexander, Pets. Bookmark the permalink. I’m so glad you decided to participate in this year’s summer blogging challenge. I loved reading your responses. I know you’ve had major things going on this year, so taking a break from reading and writing blog posts is what you needed to do. Having said that, I hope you do find time to write a new post now and then. You’re such a good writer, and I just know you’re helping all who read your posts. That lack of time thing seems to be something we all relate to! Everybody has mentioned that. The favorite posts you mentioned are so good. I went back to re-read them. I always love reading about your grandma and your pets too. Actually, I enjoy whatever you write! Thanks again for participating. Keep on writing when you can. We’ll be here. Thank you for checking up on me! I appreciate it. I miss you all. It has been a tough year and I am trying to take care of my mental health. I will update very soon. I hope you are doing well. Hugs to you, friend!